This page lists your council and other local governing bodies, and associated services they provide, generally funded by our taxes but sometimes by other means. We've given below a brief description of their remits and what they do and how they are funded. Contact these organisations to have your say. Southland District Council manages public services across the whole of Southland including about 5000km of roads, 13 urban water supplies, 11 rural water supplies, 17 sewerage schemes, 34 cemeteries, community halls, 69 community housing units, 10 libraries and one mobile library service, 150 reserves and parks. It is funded by taxes and rates, and managed by a chief executive. The council's work is overseen by a mayor, and councillors working on behalf of wards. For more information about how they spend our money, go to Southland District Council. 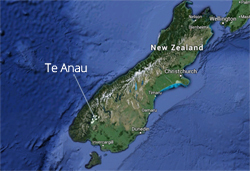 Te Anau Community Board is the agency responsible for development and economic decisions in the Te Anau region. It works alongside the local councillor. The Board is made up of locally-elected people. Contact details for the Board are on the Southland District Council website. Destination Fiordland is our Regional Tourist Organisation. Its job is to promote Fiordland as a region. It employs staff based in a Te Anau office next door to the council offices on the main street. The staff are paid for by Venture Southland (Southland District Council's regional promotion agency), and Destination Fiordland's marketing budget comes from members from all over New Zealand including in Te Anau and Manapouri who have an interest in promoting Fiordland. These members pay an annual membership fee. The work of Destination Fiordland is directed by its Board, chosen from the members. For more information go to Destination Fiordland. Environment Southland is the statutory body responsible for managing natural and physical resources of air, land, water and coast. Residents of Southland fund its work through payment of annual rates. Its work includes: environmental regulation and education; managing water quality; river control and coastal activities; controlling possums and other pests; preparing for civil defence emergencies. For more information go to Environment Southland. Venture Southland is responsible for the region's economic and community development. It is funded by the region's councils, including Southland District Council. Go to Venture Southland.